Actors - Welcome to Our Generation USA! For actresses, go to "Actresses". YouTube Video of Joe Pesci Shooting another gambler in the Movie "Goodfellas"
​Click here for more about Actors who have played bad guys. 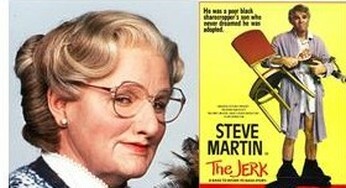 ​Pictured: Robin Williams as "Mrs. Doubtfire" & Steve Martin as "The Jerk"
It comes as little surprise if you think about it but in order to understand the more painful and vulnerable aspects of the human condition it helps to have developed a sense of humor as a coping mechanism first. Click here for more about Actors who were Comedians. 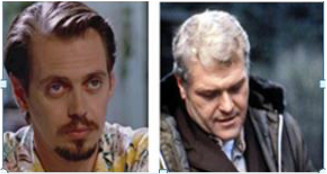 A YouTube Video of Steve Buscemi in the Movie "Fargo"
A character actor may play characters who are very different from the actor's off-screen real-life personality, while in another sense a character actor may be one who specializes in minor roles. In either case, character actor roles are more substantial than bit parts or non-speaking extras. The term is used primarily to describe television and film actors. An early use of the term was in the 1883 edition of The Stage, which defined a character actor as "one who portrays individualities and eccentricities". 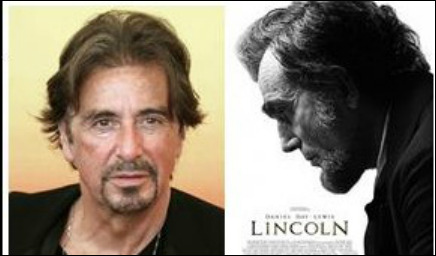 Actors with a long career history of playing character roles may be difficult for audiences to recognize as being the same actor. 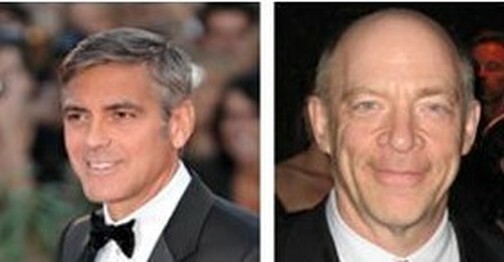 Click here for more about Character Actors. Commander James Bond CMG RN—code number 007—is a fictional character created by the British journalist and novelist Ian Fleming in 1952. The character appeared in a series of twelve novels and two short story collections written by Fleming and a number of continuation novels and spin-off works after Fleming's death in 1964. Seven actors have played Bond in 25 films. Click here for more about Actors Who Have Played James Bond. The Academy Award for Best Actor is an award presented annually by the Academy of Motion Picture Arts and Sciences (AMPAS). It is given in honor of an actor who has delivered an outstanding performance in a leading role while working within the film industry. Since its inception, the award has been given to 78 actors. Daniel Day-Lewis has received the most awards in this category with three Oscars. Spencer Tracy and Laurence Olivier were nominated on nine occasions, more than any other actor. As of the 2015 ceremony, Eddie Redmayne is the most recent winner in this category for his role as Stephen Hawking in "The Theory of Everything" (2014 Movie). YouTube Video of Morgan Freeman in "Million Dollar Baby". Since its inception, the award has been given to 72 actors. Walter Brennan has received the most awards in this category with three awards. Brennan, Robert Duvall, Arthur Kennedy, Jack Nicholson, and Claude Rains were nominated on four occasions, more than any other actor. As of the 2016 ceremony, Mark Rylance is the most recent winner in this category for his role as Rudolf Abel in Bridge of Spies. Click Here for More about The Academy Award for Best Supporting Actor. 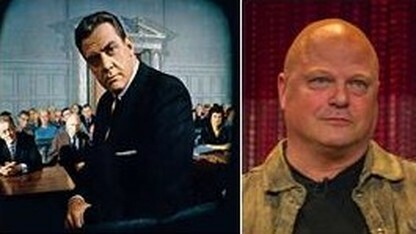 YouTube Video of Bruce Willis in "Moonlighting"
​Pictured: Raymond Burr in "Perry Mason" & Michael Chiklis in "The Shield"
This is a list of the Primetime Emmy Award for Outstanding Lead Actor in a Drama Series winners. Beginning with the 18th Emmys leading actors in drama have competed alone. However, these dramatic performances included actors from miniseries, telefilms, and guest performers competing against main cast competitors. Click here for more about Primetime Emmy Winner for Outstanding Lead Actor in a Drama Series. Primetime Emmy Award for Outstanding Supporting Actor in a Drama Series. ​Pictured: Jimmy Smits in "NYPD Blue" & William Shatner in "Boston Legal"
This is a list of the winners and nominees of the Primetime Emmy Award for Outstanding Supporting Actor in a Drama Series. In early Emmy ceremonies, the supporting categories were not always genre, or even gender, specific. Beginning with the 22nd Emmys supporting actors in drama have competed alone. However, these dramatic performances often included actors from miniseries, telefilms, and guest performers competing against main cast competitors. Click here for Primetime Emmy Award for Outstanding Supporting Actor in a Drama Series. Primetime Emmy Award for Outstanding Lead Actor in a Comedy Series. 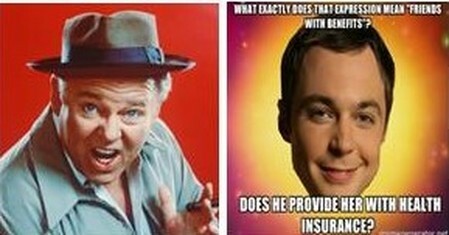 ​Pictured: Carroll O'Connor as Archie Bunker in "All in the Family" and Jim Parsons as Sheldon in "The Big Bang Theory"
The Primetime Emmy Award for Outstanding Lead Actor in a Comedy Series is an Emmy presented to the best performance by a lead actor in a television comedy series. Beginning with the 18th Emmys, leading actors in comedy have competed alone. However, these comedic performances included actors from miniseries, telefilms, and guest performers competing against main cast competitors. YouTube Video of Christian LeBlanc and his role in "The Young and the Restless"
​Pictured: Macdonald Carey from "Days of Our Lives" & Anthony Geary from "General Hospital". Since its inception, the award has been given to 24 actors. General Hospital has the most awarded actors in this category with a total of eleven wins. In 2008, Anthony Geary became the actor with the most wins. Geary went on to win again in 2012 and 2015, thus far winning on eight occasions. As of the 2016 ceremony, Tyler Christopher is the most recent winner in this category for his portrayal of Nikolas Cassadine on General Hospital. YouTube Video of Jack Nicholson in "One Who Flew Over the Cuckoos Nest"
"The actors on this list are ranked according to their acting abilities, their success, their versatility, and the difficulty of the roles they've played throughout their careers. To me, accuracy when making a Top 10/Top 100 all time list is extremely important. My lists are not based on my own personal favorites; they are based on the true greatness and/or success of the person, place, or thing being ranked. My lists are also based on the opinions of experienced professionals who are involved in whatever I am ranking. For example, many professional and/or famous actors, directors, writers, and producers believe that Jack Nicholson is the greatest actor of all time. Their opinions, along with Nicholson's versatility and record breaking success (awards & nominations), is why I ranked him at #1. If you guys would like to view my other Top 10/Top 100 lists, feel free to check out my YouTube page and/or my IMDb page at "ChrisWalczyk55". ​Pictured: Art Carney in "The Honeymooners" & Brad Garrett as the older brother "Robert" in "Everybody Loves Raymond"
This is a list of the winners of the Primetime Emmy Award for Outstanding Supporting Actor in a Comedy Series. In early Emmy ceremonies, the supporting categories were not always genre, or even gender, specific. Beginning with the 22nd Emmys supporting actors in comedy have competed alone. However, these comedic performances often included actors from miniseries, telefilms, and guest performers competing against main cast competitors. 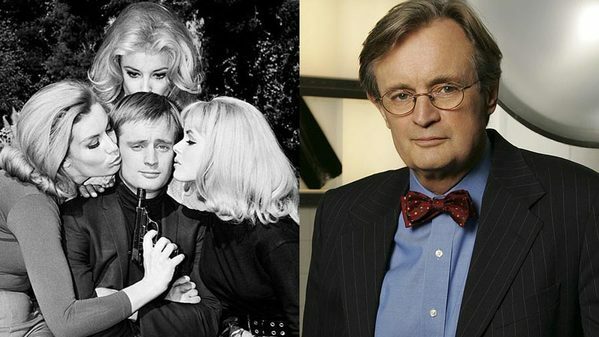 Pictured Below: "Women of a certain age used to crush hard on ‘NCIS’ David McCallum"
David Keith McCallum, Jr. (born 19 September 1933) is a Scottish-American actor and musician. He first gained recognition in the 1960s for playing secret agent Illya Kuryakin in the television series The Man from U.N.C.L.E.and as inter-dimensional operative Steel in Sapphire & Steel. After The Man from U.N.C.L.E. 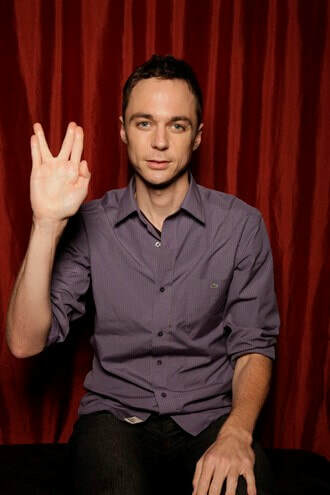 Pictured: Jim Parsons as "Sheldon" on "The Big Bang Theory" (CBS: 2007-Present), displaying the "Vulcan Salute"
James Joseph "Jim" Parsons (born March 24, 1973) is an American actor. He is known for playing Sheldon Cooper in the CBS sitcom The Big Bang Theory. He has received several awards for his performance, including four Primetime Emmy Awards for Outstanding Lead Actor in a Comedy Series and the Golden Globe Award for Best Actor in a Television Series Musical or Comedy. In 2011, Parsons made his Broadway debut portraying Tommy Boatwright in the play The Normal Heart, for which he received a Drama Desk Award nomination. He reprised the role in the film adaptation of the play, and received his seventh Emmy nomination, this time in the category of Outstanding Supporting Actor in a Miniseries or a Movie. On January 29, 2015, it was announced that Parsons would be returning to Broadway as God in the new play An Act of God, which opened in May 2015. ​Judd Seymore Hirsch (born March 15, 1935) is an American actor known for playing Alex Rieger on the television comedy series Taxi (1978–1983), John Lacey on the NBC series Dear John (1988–1992), and Alan Eppes on the CBS series NUMB3RS (2005–2010). Hirsch is also well known for his career in theater and for his roles in films such as Ordinary People (1980), Running on Empty (1988), Independence Day (1996), and A Beautiful Mind (2001). Hirsch twice won the Primetime Emmy Award for Outstanding Lead Actor in a Comedy Series, twice won the Tony Award for Best Actor in a Play, won the Golden Globe Award for Best Actor – Television Series Musical or Comedy and has been nominated for the Academy Award for Best Supporting Actor. He also starred as Arthur Przybyszewski in the CBS situation comedy Superior Donuts. 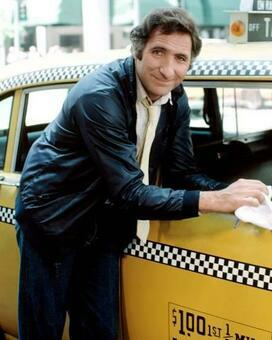 Click here for more about Judd Hirsch. ​Christopher Allen Lloyd (born October 22, 1938) is an American actor, voice actor, and comedian. Lloyd came to public attention in Northeastern theater productions during the 1960s and early 1970s, earning an Obie Award and a Drama Desk Award for his work. 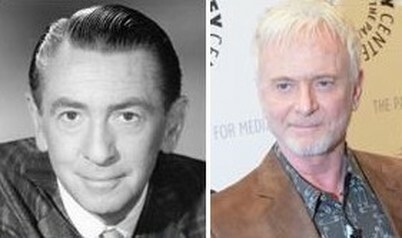 Lloyd made his screen debut in One Flew Over the Cuckoo's Nest (1975), and gained widespread recognition as Jim Ignatowski in the comedy series Taxi (1978–1983), for which he won two Emmy Awards. Lloyd also starred as Emmett "Doc" Brown in the Back to the Future trilogy, Judge Doom in Who Framed Roger Rabbit (1988), and Uncle Fester in The Addams Family (1991) and its sequel Addams Family Values (1993). Lloyd earned a third Emmy for his 1992 guest appearance in Road to Avonlea, and won an Independent Spirit Award for his performance in Twenty Bucks (1993). and the Hacker in PBS Kids series Cyberchase (2002–present), which earned him two further Emmy nominations. Lloyd has also been nominated for two Saturn Awards and a BIFA Award. 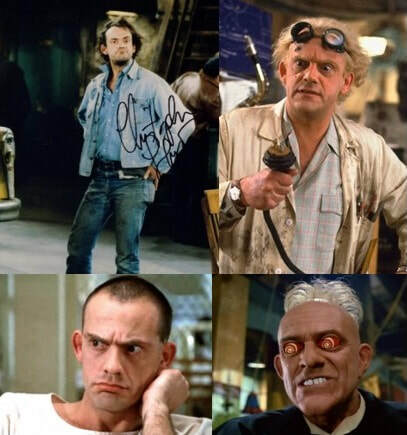 Click here for more about Christopher Lloyd. 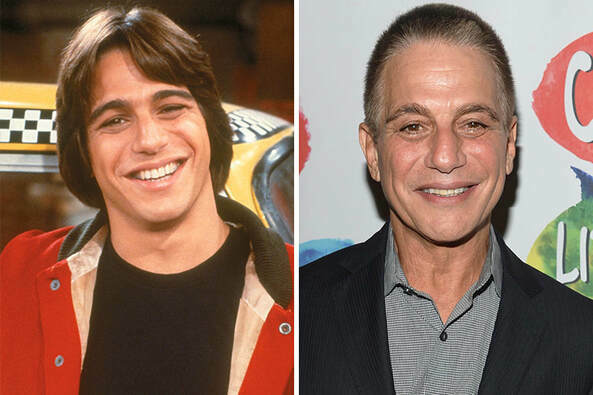 YouTube Video of Tony Danza in Taxi: "Tony's Girl"
Pictured below: (L) Tony Danza in the TV sitcom "Taxi"; (R) today as the "bad cop" in the Netflix show "The Good Cop"
​Tony Danza (born Antonio Salvatore Iadanza; April 21, 1951) is an American actor and former professional boxer. Danza is best known for starring on the TV series Taxi and Who's the Boss?, for which he was nominated for an Emmy Award and four Golden Globe Awards. In 1998, Danza won the People's Choice Award for Favorite Male Performer in a New Television Series for his work on the 1997 sitcom The Tony Danza Show (not to be confused with his 2004–2006 daytime variety talk show of the same name). Click here for more about Tony Danza.